The Guaranteed Price Plan (GPP) offers eligible students a fixed tuition and fee rate for four full years. There will be no tuition or mandatory fee rate increases for the duration of the plan. Each incoming first-time freshman class pays its unique guaranteed rate tuition for four years. First-time, degree seeking freshmen beginning Fall 2015. Students who graduate from high school are first-time freshmen, regardless of the number of college or advanced placement credits earned. Students who transfer from any other post-secondary institution beginning Fall 2015. Non-resident or out of state students, and Graduate students are not eligible for the plan. Eligible students who enroll in the Guaranteed Price Plan will pay a guaranteed tuition and mandatory fee rate, which will remain in effect for the first four years after the student is enrolled (12 consecutive semesters from the point of enrollment). Certain programs might have additional costs and non-mandatory fees could increase. Ex: Lab Fees, Music Fees, University Center fees, Distance Learning Fees, 3-Peat Tuition, 45 Hour Fee, parking fees and any other course fees are not covered under the Guaranteed Price Plan. Most SHSU bachelor degree programs take four years to complete if a student takes an average of 15 hours a semester. Additionally, this time period is set by both Texas Statute and Texas State University System rule. Once the Guaranteed Price Plan expires student will pay the Traditional Price Plan in effect at that time. No. The Guaranteed Price Plan is in effect for four years or for 12 consecutive semesters after enrollment. What happens if a student, who is on the Guaranteed Price Plan, leaves SHSU during the four-year period and comes back later? The student will continue to pay the same Guaranteed Price Plan rate until the plan expires. For example, a student enters SHSU in August 2018, enrolls in the GPP but withdraws after Spring 2019. 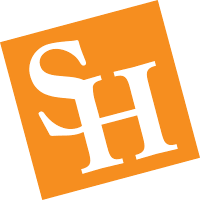 If that student re-enters SHSU in Spring 2020, he/she will pay the 2018 Guaranteed Price Plan rate, until it expires after Summer 2022. If I attend part-time, will the length of the plan be extended? No. The plan is only active for four years (12 consecutive semesters) no matter the number of hours taken. How long do I have to enroll in the Guaranteed Price Plan? Students have until the day before the 1st class day of their incoming semester to register for the Guaranteed Price Plan. Students who register for classes on or after the 1st class day will have until the 6th class day to enroll. Class days are University Class Days: not days the student attends class. After the enrollment deadlines have passed, students will not be able to enroll in the Guaranteed Price Plan or change price plans. Students have until the day before the 1st class day of their first semester to un-enroll from the Guaranteed Price Plan. A student who registers for classes on or after the first class day has until the 6th day to un-enroll. After a student elects to be on the Guaranteed Price Plan and the deadline to un-enroll has passed, the student will remain on the Guaranteed Price Plan for the next four years (12 consecutive semesters) and will not be able to un-enroll. How do I select the Guaranteed Price Plan? If you are qualified to select a Guaranteed Price Plan, you may make your selection through MySam. Go to http://mysam.shsu.edu, select Campus Resources tab, then Banner Self Service > Student > Guaranteed Price Plan. I have questions about the plan, who do I contact? I have questions about the tuition & fee assessment for the plan? I need some guidance on what plan to choose.